A practitioner of HEMA for over 5 years, Bill is the founder and principal instructor of New Hampshire KdF and has taught at events and seminars across the United States. Bill started in the martial arts over 25 years ago with a focus on the Japanese sword arts, teaching kendo and kenjutsu for almost 15 years and in 2010 transitioned into HEMA, where Bill quickly became an assistant instructor working both internally and externally with community outreach programs and other local events to bring knowledge of HEMA to the people. Bill has worked hard over the past few years to train and work with other HEMA instructors from all over the country to better himself in the HEMA arts. 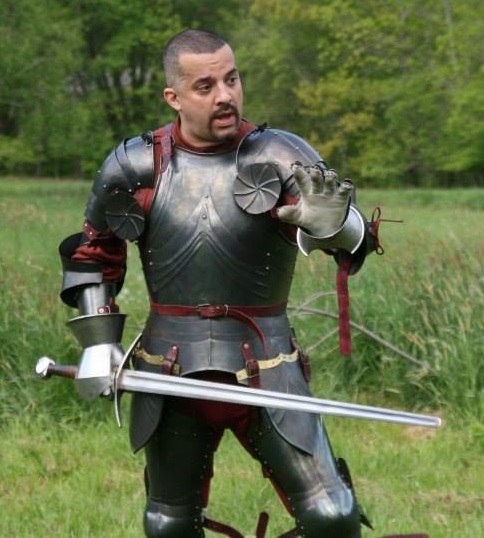 Bill is well known for his efforts to return Harnischfechten to HEMA and has already done several introductory classes on armoured fighting at various events around the East coast.